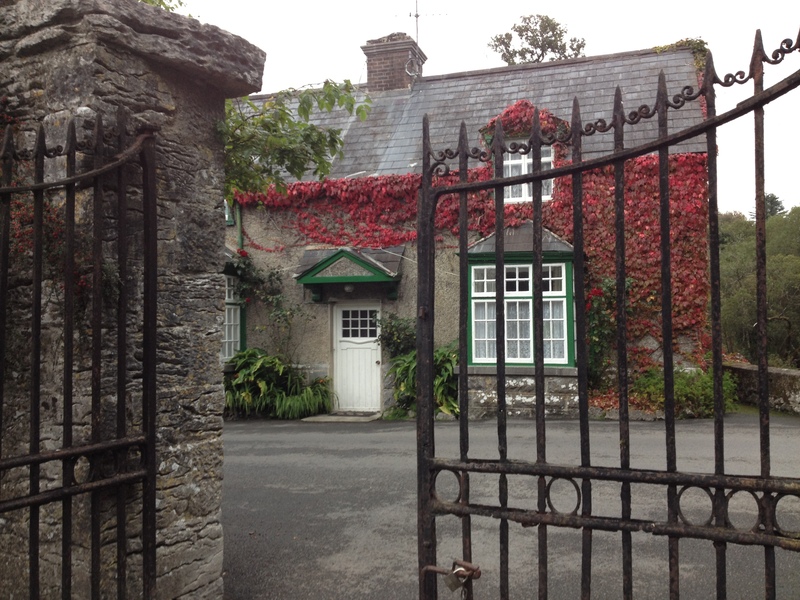 The Quiet Man’s Ireland, Day 1: | I'm Annette! Many years ago, while living in Texas, I met a young man who had recently moved there from Ireland (from the city of Dublin, if I remember correctly). 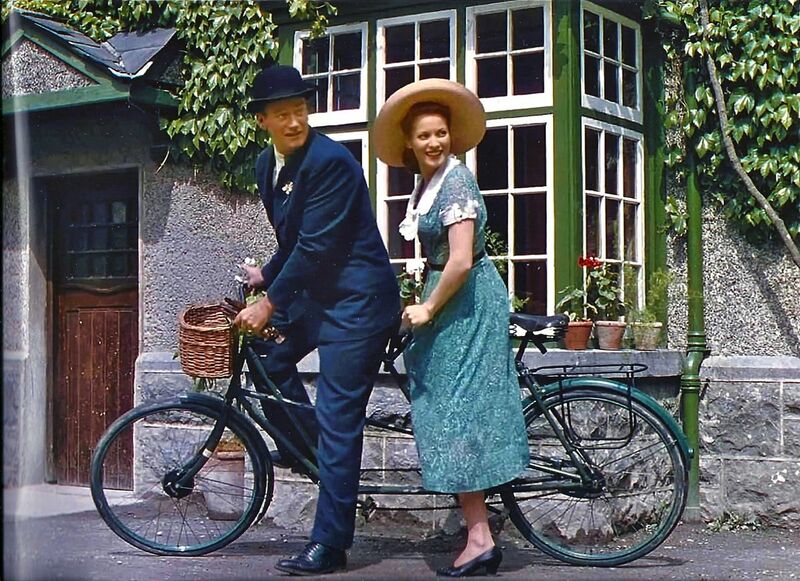 In the course of our conversation, I mentioned that I was a big fan of the classic John Wayne film, The Quiet Man (Also staring Maureen O’Hara and directed by John Ford), which is set in Ireland. “That is how I think of Ireland,” I said. “Does Ireland look anything like it does in that movie?” The man grinned and replied, “That is funny, because I had always imagined America, and Texas, just as it was shown in the John Wayne movies that I had seen, especially “The Alamo!” Needless to say, this Irish transplant’s mental images of John’s Wayne’s Texas were a distinct contrast from the reality of modern life in the sprawling city of Houston! 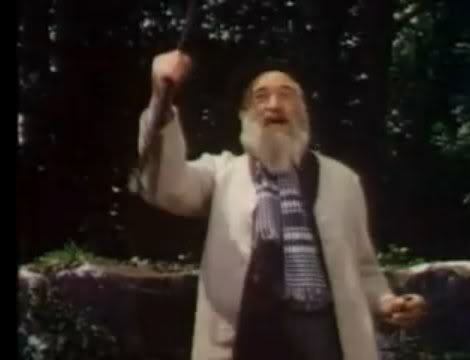 And my visions of an idyllic Irish green countryside were also soon crushed; as this Irishman went on to explain that the Ireland depicted in the movie did not exist. Fast forward twenty-plus years later: I had finally made it to Ireland to see for myself. I tried not to get my hopes up, not wanting to set myself up for disappointment, as Dale and I left the Dublin Airport for our three day immersion into all things Irish. Try as I might over the years, I just could not shake The Quiet Man image that had been in my head since my first viewing (Thanks to PBS.) in the 1970’s. Happily, a vivid green Irish landscape began to reveal itself as we ventured outside of the city, and along our two and half hour drive to Cong (used as Inisfree in the movie). In fact, the picturesque landscape unfolding before us actually surpassed the beauty that I had long pictured in my mind. The countryside DID indeed look like how John Ford had portrayed it in The Quiet Man! 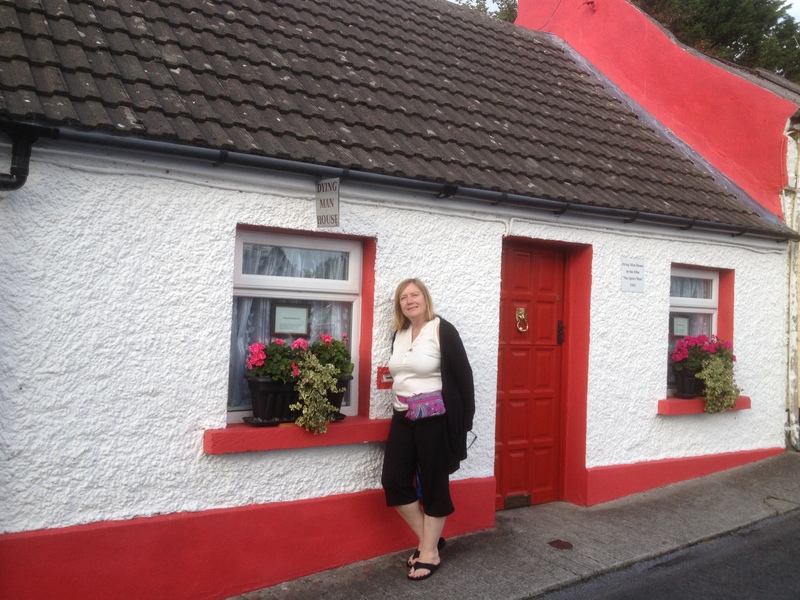 Already on an Irish high, and having inadvertently missed the turn to our scheduled Bed and Breakfast lodging, Dale and I suddenly found ourselves THERE! 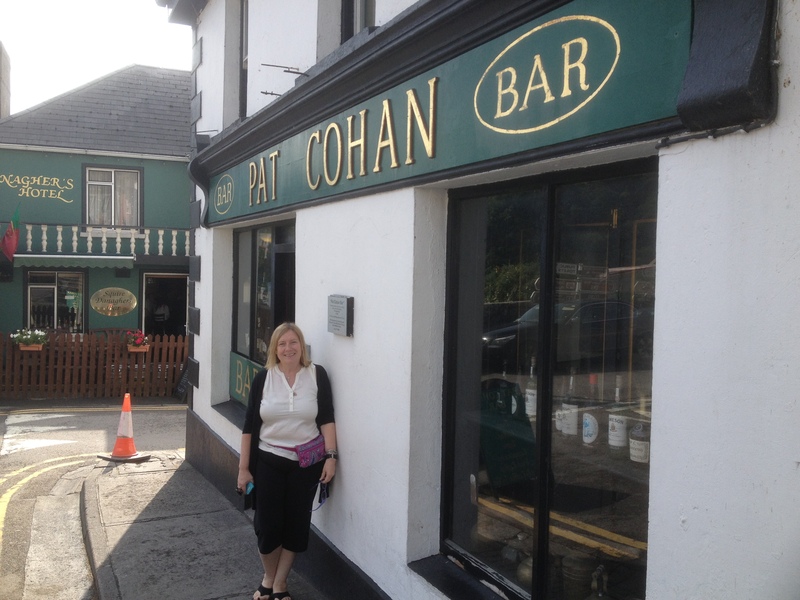 We had accidently driven straight into the small village of Cong/Inisfree, and were looking directly at Cohan’s, “Over here, we pronounce it, CO-han!”, from the movie! Dale said later, that upon seeing it, I practically jumped out of the car! I really do not remember my initial reaction. I just remember how very happy I was to spot my first Quiet Man site. :o) We were in Inisfree! I must insert a disclaimer here. If you are a Quiet Man movie fan, you will be able to relate to the remainder of this post, and the next, as I regale you with tales of all things from the film, with a giggly giddiness. You will vicariously share the experience of my Inisfree Adventure via word and photos below, and in the next blog. If you are not a Quiet Man fan, I cannot relate. I mean, what is not to like? What the heck is wrong with you? (Just kidding, sort of.) Anyway, if you are a hater, I’m afraid that you may find the remainder of this blog post, and the next, not to your liking. Sorry. If you have never had the pleasure of seeing the movie The Quiet Man, there is no better time like the present. Rent this movie today! Treat yourself to 129 minutes of pure fun! First, finish reading this (and the following post), next watch the movie, and then return to reread the Quiet Man posts, identifying with my Quiet Man trip euphoria. Having unexpectedly and happily found ourselves in the midst of Cong/Inisfree, I could not contain myself. A week prior, I had already scheduled a half day, more extensive Quiet Man tour that was to be for the following day via The Inisfree Experience*, but I just could not wait to begin! After strolling the village’s streets, and visiting The Quiet Man gift shop, I determined that we would see The Quiet Man Museum that afternoon. We would do their short walking tour, as an appetizer to the next day’s more in-depth tour. And so it happily began…. The first, and impromptu, Quiet Man day had been a wonderful success, and the best was yet to come the next morning! The Reverend and Mrs. Playfair House in 2013. The Riverbank of the big fight in 2013. Spoiler Alert: The “Dying Man” Lives! 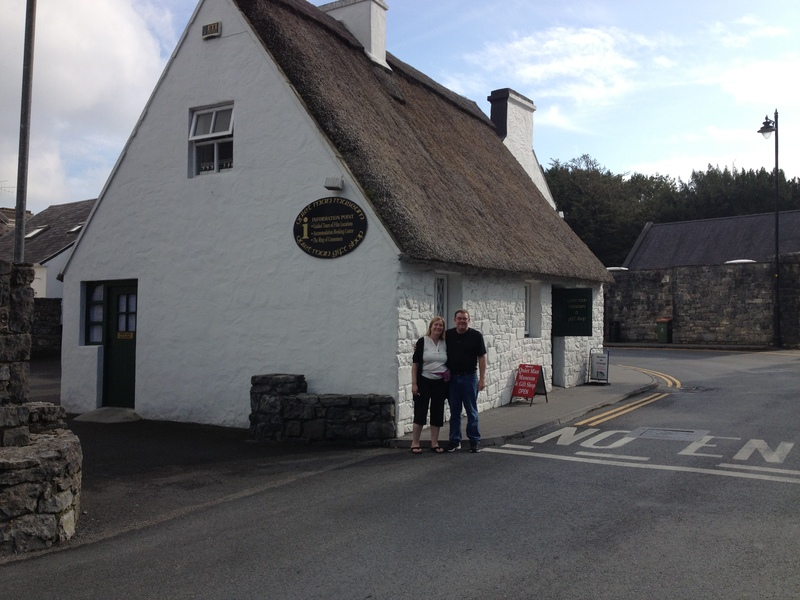 Dale and me in front of the thatched roof Quiet Man Museum and Gift Shop in Cong. 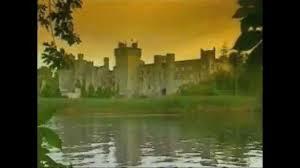 Ashford Castle as the location of The Quiet Man’s opening credits. 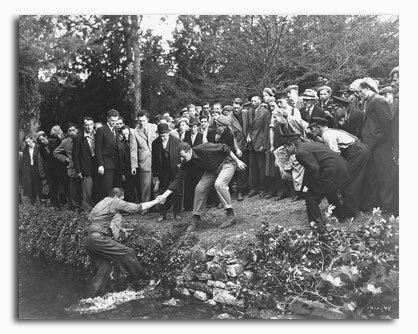 * Next post- The Quiet Man’s Ireland, Part 2. Click here to read it. To join my blog “following”, and receive “I’m Annette” via email, (Inisfree–couldn’t resist this. :o)), immediately upon posting, please sign up on the right-hand side of this page. 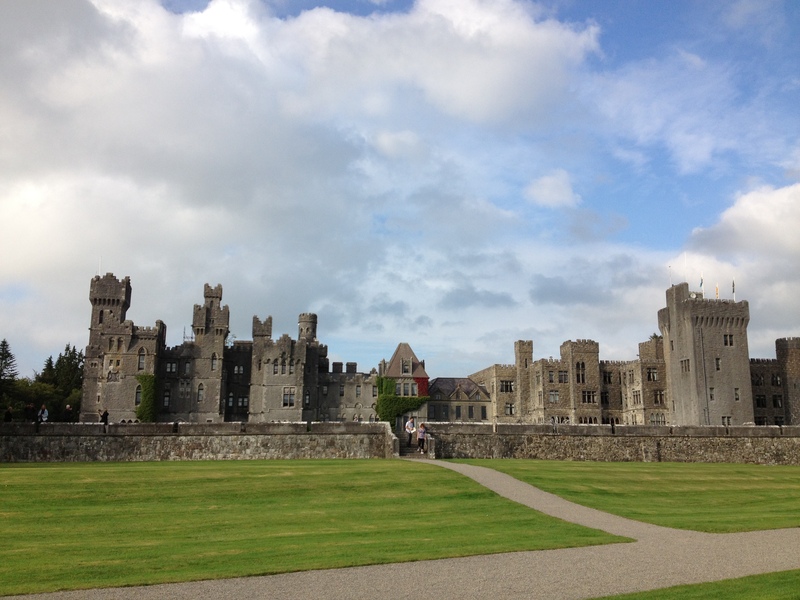 This entry was posted in Uncategorized and tagged Ashford Castle, Cohan's, Cong, Crow's Nest, Dying Man House, Inisfree, Ireland, Irish, John Wayne, Maureen O'Hara, Playfair House, Quiet Man Museum, The Quiet Man. Bookmark the permalink. Great pictures!! Loved the castle. Thank you, the castle was beautiful. 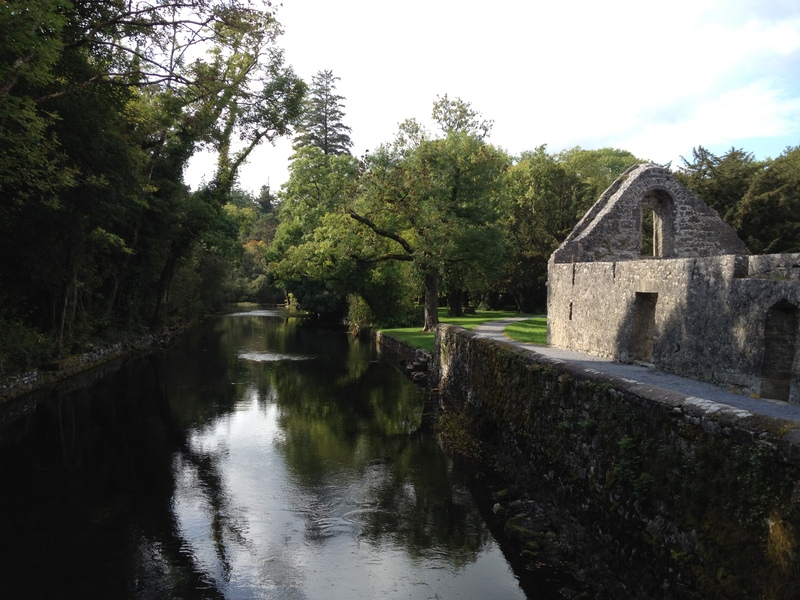 Pingback: The Quiet Man’s Ireland-Day 2, or A Day Fit for a “Quiet Man Crazy” | I'm Annette!